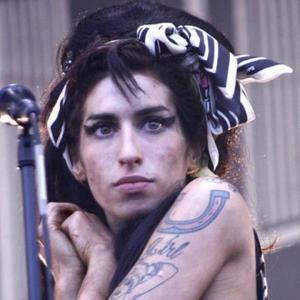 Amy Winehouse is a queen. she's dead. she doesn't have legs anymore you stoopid woman. "can you get me a salmon sandwich?!" "Some fags and Strongbow while you're at it"
why are all the pics like little question marks? but they were only Amy? she was an Amy fan? Omg I think so apparently.